Signature Club at Greenview is a 55+ community in New Market, Maryland. This active adult neighborhood boasts a charming clubhouse with a rich line-up of amenities and organized events that help residents stay busy all year long. Signature Club at Greenview consists of just 233 residences, which makes homebuyers feel at ease in this tight-knit community where neighbors become fast friends. Ideally situated in Frederick County, MD, residents also have easy access to shopping, dining, and attractions just a few minutes away. The clubhouse is the central hub of activity in Signature Club at Greenview. Here, residents can stay fit in the aerobics or exercise room where they can get personal training sessions or join in group exercise classes. Residents have access to meeting rooms and a multi-purpose room where they can play cards, games, and host small gatherings. A catering kitchen is on hand to make a snack for a club or group event. Outdoors, homeowners can swim in the pool or soak in the adjacent spa. They can read a good book on the patio while enjoying a sunny day. A tennis court is on-site for a challenging game between neighbors. Signature Club at Greenview has a scenic pond, parks and natural space as well as walking and biking trails that add picturesque beauty to this charming active adult community. Signature Club at Greenview was developed by Ryan Homes between 2005 and 2012. This 55+ community consists of 233 attached and single-family homes, all with first-floor master suites. Homebuyers can choose from a selection of great resale homes that offer luxurious designs that appeal to the active adult homebuyer. Attached homes offer approximately 2,200 to 3,000 square feet of living space. They have two or three bedrooms, two to three bathrooms, and an attached one or two-car garage. Some home features include hardwood floors, granite countertops, high ceilings, and screened-in back porch. Single-family homes offer approximately 2,600 to 3,500 square feet of living space. They have two to four bedrooms, two to four bathrooms, and an attached two-car garage. These homes typically have open floor plans, hardwood floors, walkout basements, elegant master suites, and decks. Residents also enjoy a low-maintenance lifestyle in Signature Club at Greenview. An affordable homeowners' association fee covers the cost of lawn care, driveway sealing, exterior home maintenance, common area and amenities maintenance. There is never a dull moment while living in Signature Club at Greenview. Residents have a wide selection of clubs, groups, and activities that they can participate in that suits their interests. Homeowners can get together to play bridge, Mah Jongg, or hand and foot. They can join the book club, current events group, genealogy group, Scrabble group, or pool group. Residents can have fun at events like karaoke night, thirsty Thursday, and holiday parties. With so many activities and hobbies, Signature Club at Greenview has something for everyone. 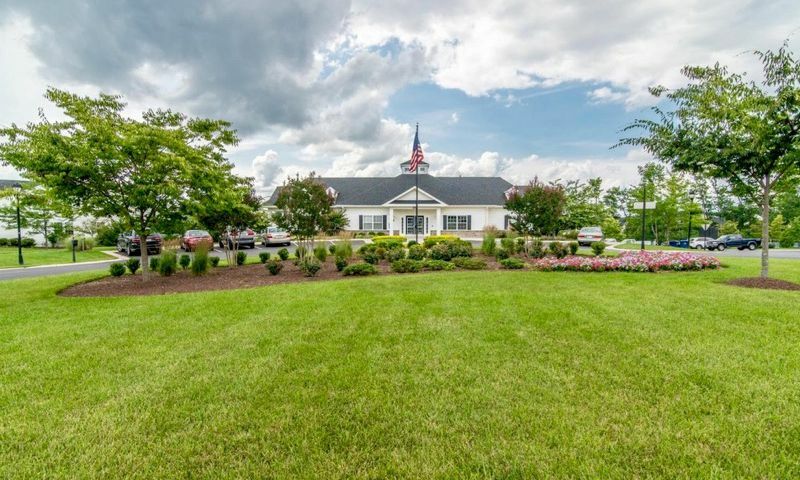 Located in Frederick County, Maryland, Signature Club at Greenview has easy access to Interstate 70, which makes driving around town a breeze. The community is also minutes away from the historic downtown area of Frederick that has many restaurants, shops, and entertainment. Residents can shop at FSK Mall, Hagerstown Outlets, Costco, and Wegmans. Golfers will love being close to Holy Hills Country Club where they can play the 18-hole championship golf course. Medical facilities like Frederick Memorial Hospital and CVS Pharmacy are also close to the community. For big-city entertainment, residents can drive to Baltimore or when traveling farther is required, the Baltimore International Airport is only 48 minutes away. Signature Club at Greenview is a great 55+ community with so much to offer active adult homeowners in New Market, Maryland. There are plenty of activities available in Signature Club at Greenview. Here is a sample of some of the clubs, activities and classes offered here. Attached homes offer approximately 2,200 to 3,000 square feet of living space. They have two or three bedrooms, two to three bathrooms, and an attached one or two-car garage. Some home features include hardwood floors, granite countertops, high ceilings, and screened-in back porch. Please Note: Floor plans are not available at this time. Single-family homes offer approximately 2,600 to 3,500 square feet of living space. They have two to four bedrooms, two to four bathrooms, and an attached two-car garage. These homes typically have open floor plans, hardwood floors, walkout basements, elegant master suites, and decks. Please Note: Floor plans are not available at this time. 55places.com is not affiliated with the developer(s) or homeowners association of Signature Club at Greenview. The information you submit is distributed to a 55places.com Partner Agent, who is a licensed real estate agent. The information regarding Signature Club at Greenview has not been verified or approved by the developer or homeowners association. Please verify all information prior to purchasing. 55places.com is not responsible for any errors regarding the information displayed on this website.